Transform the way you cook with Euro-Chef Induction Cook Tops, an online exclusive offering by Mytopia. Induction Cook Tops heat food without any open flames or direct heat, making it safer and far more efficient than their gas and conventional electric counterparts. A must-have for any kitchen, Euro-Chef Induction Cook Tops will change the way you view cooking forever. No flames? It’s not magic, it’s science! 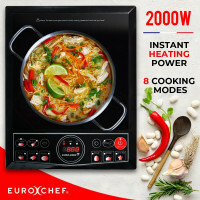 Alternating magnetic fields within the Euro-Chef Induction Cook Top create electrical currents that heat the pan directly. Feel free to touch the cook top; no open fire means goodbye to uncomfortable radiating heat and freedom from burns. The sleek black ceramic glass frameless design makes it a stylish and handy addition to any kitchen. Available in fixed and portable variants, bring the the future of cooking anywhere, whether you’re in your kitchen or whipping up a mean meal in your patio. 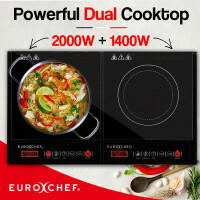 The auto-shut off function and the in-built timer ensures safe cooking with your Euro-Chef Induction Cook Top any time. Realise your dream kitchen with Mytopia’s extensive range of dependable and affordable Griddle Cooktops, Ceramic Cooktops, Rangehoods, and Ovens. All Euro-Chef Induction Cook Tops are covered by an extensive 12-month warranty for private household use. 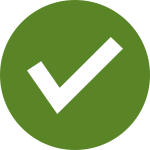 Guaranteed fast and easy delivery, whether you’re in Sydney or in the Outback, only with Mytopia. What are you waiting for? Bring your kitchen into the 21st century and buy a Euro-Chef Induction Cook Top today!